As a born adventurer and consummate seeker in the quest for a more highly evolved consciousness, I've traveled to some places that I've been drawn to and seemingly called my name. These travels include the Giza Pyramids - Egypt (1995), Uluru/Ayers Rock - Australia (2008), Mayan Ruins - Yucatan Peninsula (2010) and Bodh Gaya - India (2011). It wasn't until after these trips that I learned about the existence of Earth chakras and their locations around the planet. Reflecting upon my experiences before, during and after these travels, I have come to realize that I experienced personal transformations directly after visiting two of the corresponding planetary chakra locations: Giza Pyramids - Egypt (throat chakra) and Uluru/Ayers Rock/Kata Tjuta - Australia (solar plexus chakra). After my visit to the Giza Pyramids - Egypt (throat - fifth chakra), I developed a deeper connection with my inner wisdom and voice while gaining a greater ability to express myself. After my visit to Uluru/Ayers Rock/Kata Tjuta - Australia (solar plexus - 3rd chakra), I developed an increasing ability to let go of my fear of not being in control of outcomes while gaining greater trust and confidence in my divine path and my ability to make conscious choices without attachment. After my return from the Giza Pyramids in Egypt (throat chakra), I gained a clarity in my voice and the ability to express myself freely as a writer, lecturer and teacher. Likewise, after my return from Uluru/Ayers Rock - Australia (solar plexus chakra), I gained a confidence and the ability to release my need and dependency on controlling my experiences and environment. I've further come to realize these two abilities represent the greatest gifts that I've received in my entire life. From these realizations, I now feel compelled to pursue a spiritual quest that involves visiting the remaining planetary chakra locations. The below map shows the 14 planetary locations and the corresponding chakra or gate they represent. 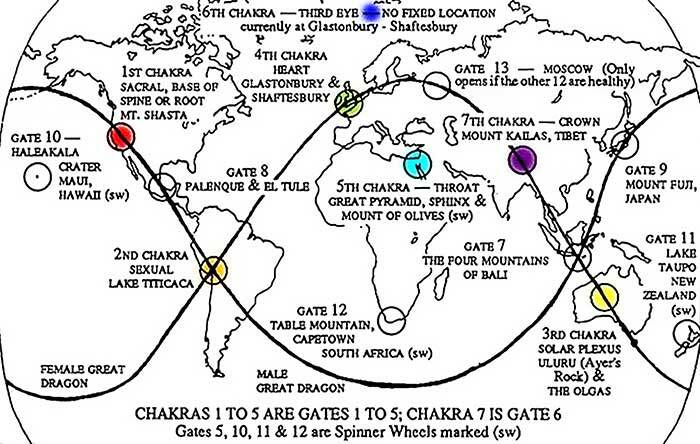 Earth chakra locations 1-7 and gates 7-13 are marked accordingly. Those who are aware of these locations may know gate locations 7-13 only become activated once you have visited chakra locations 1-7. In other words, it's important to visit chakra locations 1-7 prior to visiting the remaining gate locations 7-13. The Quest is simple in essence yet challenging in application to visit all chakra and gate locations and to share these experiences with as many other people as possible. As such, I've decided to embark on an effort to facilitate this opportunity for myself and those who would like to journey with me. 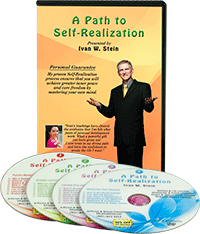 As one might imagine, traveling to each location individually and then returning home in between represents the most practical and affordable solution for most people, however, this approach also represents the most difficult for visiting the 7 chakra locations within this or any single lifetime. An alternate approach is to plan a trip that visits each location; going from one location to the next, until all 7 locations have been visited in one single trip. The plan is twofold. First is to generate a travel itinerary, trip duration and cost that will allow as many people as possible to visit the 7 planetary chakra locations. Second is to generate a travel itinerary, trip duration and cost that will allow those with the time, resources and flexibility to continue on and visit the remaining 7 planetary gate locations. This plan will include: finding those who are interested in participating in this grand adventure, creating a cost effective travel itinerary and organizing the necessary room and board at each location. As this information is researched and acquired, it will be posted here and submitted to those who have expressed an interest in participating either in spirit or in person. If you would like to help plan this Earth Chakra Expedition, receive information on the planning of this spiritual quest or be notified when the travel plan, costs and details become available, please Contact Ivan.